I have a pretty long commute for work and it’s all on public transportation. As a result, my arrival to work and then later at home, really is at the mercy of the Transit Lords. The Transit Lords giveth and the Transit Lords taketh away. Sometimes they taketh away really hard. I won’t go into the terrible details, but let’s just say I been caught in a few lengthy hours-long delays. There was once instance when I knew the system had been halted and arranged with a coworker to get some help in getting home, basically follow her back across the bridge and get dropped off at a main hub where I would catch a couple of buses home. One of those hubs was at a large central mall and it was my plan to grab a snack while I was there. After a long (long) walk through the mall, I came across a popcorn snack. 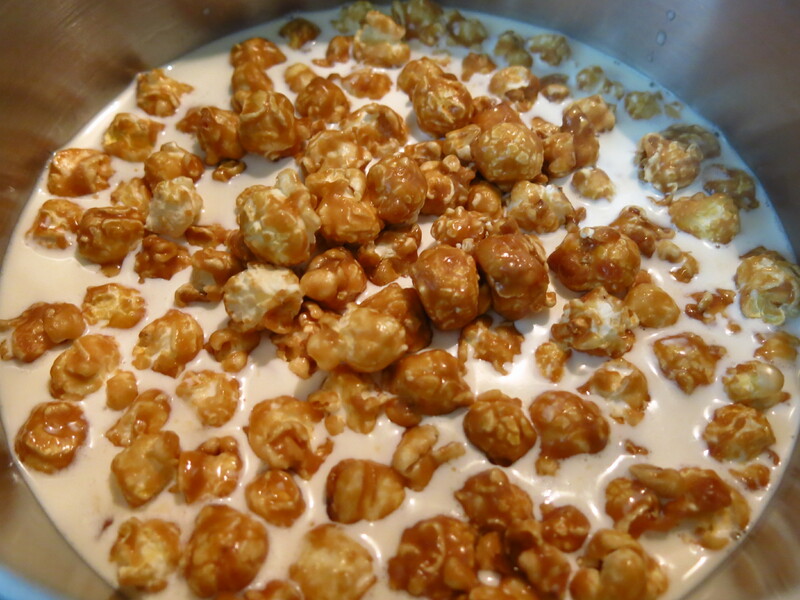 And there it was – my pre-dinner snack of caramel corn and my inspiration for ice cream! 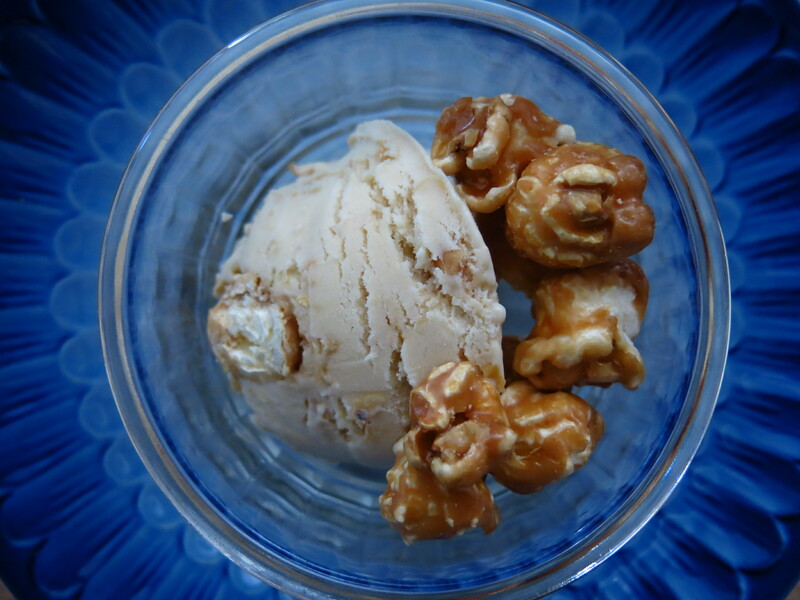 I present to you – Cracker Jack ice cream! I believe it was inspired from a recipe either from Jeni Britton Bauer or David Lebovitz, where the cream base is steeped with caramel corn. I would do the same and add a mix-in of roasted and salted peanuts & chopped caramel corn. Plated with a few caramel corn kernels! I wound up serving this ice cream with some homemade blueberry galettes – the mild sweetness of the corn went really well with the summer fresh blueberries.